I thought very highly of Danganronpa: Trigger Happy Havoc when its Vita port released in Europe earlier this year. Its tried and true murder mystery premise was familiar, but felt entirely fresh because of its setting with remarkably well written characters and plot. Of course, after the game was so well received in the west it was only a matter of time before its sequel, Danganronpa 2: Goodbye Despair (also known as Super Danganronpa 2: Goodbye Despair Academy in Japan) also hit our shores, bringing the viciously evil Monokuma with a despair-fueled vengeance. Now, because the original game was so good, I had reservations that a sequel would have a tough time living up to it. Thankfully my reservations were shattered to pieces, as Danganronpa 2 is everything the first game was, and more. In Danganronpa 2, you are Hajime Hinata, a young man who has been inducted into the first game’s Hope’s Peak Academy, along with fifteen other students of varying Ultimate talents. Much like the first game, things soon take a turn for the bizarre as your classroom disintegrates before your eyes, revealing that you’re in fact on a vast tropical island turned holiday resort. Known as Jabberwock Island, things initially seem peaceful and carefree, until Monokuma (the original game’s main antagonist) shows up and turns the school trip on its head. He takes over authority of the school trip from Usami, the students’ anthropomorphic rabbit teacher, and forces them to play the same killing game the cast of the original game did. The rules of the killing school trip? Murder one of your friends. 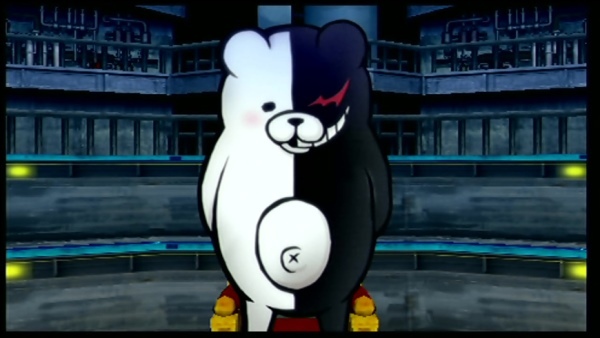 After a brief investigation, the class trial will begin where the group must determine who the murderer (named the “blackened” by Monokuma) is. If they choose correctly, the blackened is horrifically executed and the school trip continues. If, on the other hand, the students fail to determine who the blackened is, he/she alone will be granted leave of the island whilst all other students will be executed. I appreciate that the setup sounds pretty much identical to the first game, and to be fair, it is. 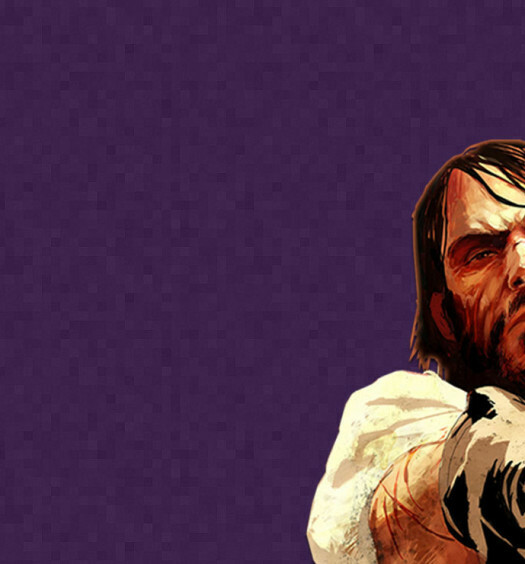 However, it merely serves as the framework for what is hands down one of the best stories ever told, video game or not. I’ve had many a sleepless night playing through Danganronpa 2, because the story, the writing, and the characters are just so compelling. In these three respects it surpasses even the original in quality, a feat I once considered impossible. Monokuma is one of the greatest villains in recent memory, and he’s as delightfully evil as ever here. So, why don’t we talk about some of the characters? Much like Makoto Naegi from the first game, Hajime Hinata is an everyman who tries to get along with all the other students, regardless of their personality. Next up is a personal favourite: Gundham Tanaka, the Ultimate Breeder. This guy considers himself a supreme lord of darkness, even referring to his hamsters as “the Four Dark Devas of Destruction.” He is simply hilarious and steals the show in practically every scene he’s in. There’s also Ibuki Mioda, the Ultimate Musician, who isn’t so intelligent as she is simply brimming with positivity, an interesting juxtaposition to her punk rock aesthetic. Hajime is an everyman who tries to get along with all the other students, regardless of their personality. Other characters include Fuyuhiko Kuzuryu, the Ultimate Yakuza and anti-socialite, Chiaki Nanami, an adorable gamer girl who’s simply full of references, and Hiyoko Saionji, whose cutesy exterior fails to hide the fact that she’s really a sniveling bully who goes out of her way to undermine and antagonise her classmates. Overall, the cast of sixteen feels a lot more unique than in the first game, which definitely had its share of great characters. But still, besides Hiyoko, there isn’t a character in Danganronpa 2 the game could really do without; they’re all so full of personality, which means it hurts even harder if and when your favourites are killed off. Much of the gameplay in Danganronpa 2 remains identical to the original, albeit with some improvements as well as a few added extras. 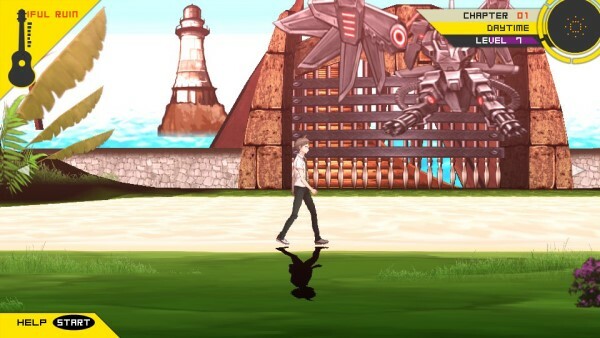 Jabberwock Island is bigger and more varied than the first game’s setting of Hope’s Peak Academy. A criticism I had of the original was that its setting limited what its creators were capable of in terms of setting. Now, thanks to the vastly superior setting of the sequel, you’ll visit more varied, imaginative areas, many of which you wouldn’t even expect. Exploring the island is an adventure in itself, and as you do, the game takes a side-scrolling perspective as you move from area to area. Some areas, such as the hotel where the students are housed, move the game to a first person perspective, whereas more enclosed areas are simply navigated with an on-screen cursor. Why yes, that robot eagle DOES have chainguns for feet. A big difference this time around is the ability to level up Hajime as you play. Simply walking around, talking to your classmates and exploring areas grant experience that serve to increase your level. As this increases, so too does the size of you Influence and Focus gauges during the class trial, while also adding to the maximum number of skills you can equip during the trials (more on these later). If you don’t wish to walk around everywhere to gain the bulk of your EXP, you can instantly warp to any location you have visited, though there’s added incentive to level up in the form of a Tamagotchi-esque pet. When fully evolved, these pets grant various rewards such as presents which can be gifted to your classmates, or Monocoins that can be spent to earn said presents, as well as an absolute ton more experience. The Free Time sections also return from the original, allowing you to form bonds with your classmates. Similar to Social Links from the Persona series, as you spend your free time with your friends you’ll earn Hope Fragments which can be spent on new skills. Each classmate has a total of six fragments to obtain, and maxing these out grant very powerful skills that can make your life during the class trials that much more secure. As for the class trials, they play out in largely the same fashion as the original game’s, though the various mechanics contained within have been improved with added depth. During Nonstop Debates (imagine Ace Attorney’s cross examinations without pauses) you’ll now be given the opportunity to agree with certain statements, instead of just disputing them. This adds a whole new thought process which you’ll have to consider whenever these statements show up. As always, once you find a contradictory or agreeable statement, you fire from your pool of Truth Bullets (Danganronpa’s inventive take on evidence) and let the satisfaction wash over you when you progress to the next section. The Hangman’s Gambit has also been vastly improved; instead of simply choosing the correct letters as they fly onto the screen, you must now combine two of the same letter, and shoot down incorrect ones before they collide with each other, which will hurt your Influence gauge. New to the class trials are the Logic Dive minigames, which remind me of an on-rails WipEout. During these, Hajime’s thought process is displayed as a runner-like minigame, where you must avoid obstacles and jump over gaps. Every so often, a question relating to the case will appear, and you must choose the correct path/answer to travel down. It’s a very neat addition that shows up perhaps once or twice per trial, so it doesn’t overstay its welcome. The class trials play out in the same fashion as the original game’s, though the mechanics have been improved. My only complaint with the class trials this time around are the new Rebuttal Showdowns. They are essentially one-on-one arguments with another character, where your ammunition appears in the form of Truth Swords as opposed to the Nonstop Debate’s Truth Bullets. Your objective here is to “slash” at your opponent’s statements to swing the argument in your favour. However, some statements contain a contradiction that requires a Truth Sword to beat, and regularly slashing these causes damage to you. The problem is, these statements show up on the screen so quickly that it’s very easy to react to them slowly. Worse still, you have to cycle through your evidence to the correct one while the conversation occurs, and any statement you don’t slash counts against you. It’s a very finicky minigame, but nothing that comes marginally close to ruining the experience. Danganronpa 2’s presentation remains as slick as ever. The pop-up book style of the first game returns, and is a treat to look at in conjunction with the game’s new areas. 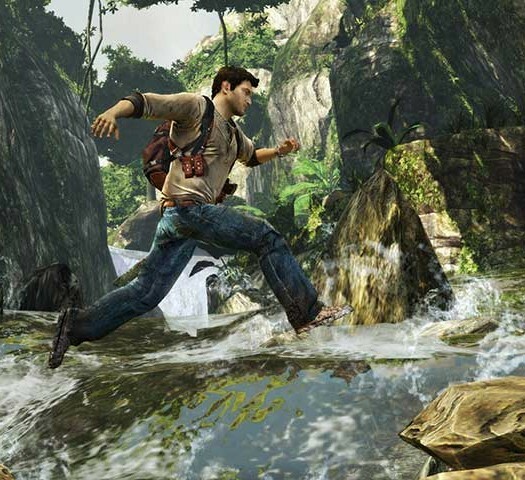 The more varied and sun-soaked setting also serve to make the game look even more impressive than the original, despite them both being graphically identical. Masafumi Takada returns to compose the incredible soundtrack, featuring entirely new tracks and some remixes of the original’s awesome score. Danganronpa 2: Goodbye Despair is a pinnacle example of the video game sequel. It sets out, and succeeds astronomically, to improve on its predecessor by any means necessary. It has a better setting, a better story that build on the first game’s events, more fleshed out characters, and tighter gameplay that makes it, along with Trigger Happy Havoc, an absolute must own title for the PS Vita – and we all know that system needs more of those. Now, be an awesome person and support NIS America and Spike Chunsoft by playing through these excellent games. Who knows, maybe we’ll eventually get the upcoming Zettai Zetsubo Shojo: Danganronpa Another Episode too. A review code of Danganronpa 2: Goodbye Despair was provided courtesy of NIS America. Danganronpa 2 sets out to improve upon its predecessor in every way. It succeeds immensely, and we now have English versions of two of the finest video game stories ever told. If you own a Vita and it’s been gathering sorrowful dust, show it some hope by playing these stellar games. I guarantee you won’t be disappointed.